MasterCard on Monday announced plans similar to those made last week by Visa to speed up chip card in-store terminal testing and certification. The changes could reduce the certification and testing time to a couple of hours, down from a couple of weeks, said Chiro Aikat, senior vice president for product delivery-EMV for MasterCard. Under MasterCard's approach, banks will have more responsibility and flexibility for testing the new terminals. MasterCard also cut the number of needed tests by 58% and said banks can "use their discretion and expertise in deciding when terminals are ready for deployment." MasterCard also said it will give more "dedicated resources" to third-party companies that integrate the new terminals, but didn't elaborate. Also, MasterCard will publish guidelines on standard terminal test configurations. One reason the process can be speeded up so much is that merchants can now choose any payment terminal certification process and won’t need to be certified by each different card company, a MasterCard spokeswoman said. Many retailers have complained about a backlog of several months in testing and certification, even as many have already paid for and installed hardware. Some chip card terminals can cost $500 or more apiece. In most cases, the certifications look at software as well as hardware and the entire payment network involved in transactions. Retailers are concerned about having to assume liability for fraudulent card payments, a change that became effective Oct. 1. Elavon, a credit card processing company, said it began working with MasterCard more than three years ago to implement hardware and software upgrades to accommodate the more secure chip cards. "By accelerating the testing and certification process, MasterCard and Elavon can make more terminals available to more merchants, increasing the safety of entire payments ecosystem," said Guy Harris, president of Elavon North America in a statement. MasterCard also said it will minimize the costs of "chargebacks" to merchants who still haven't transitioned to chip cards because they might be waiting for certifications. 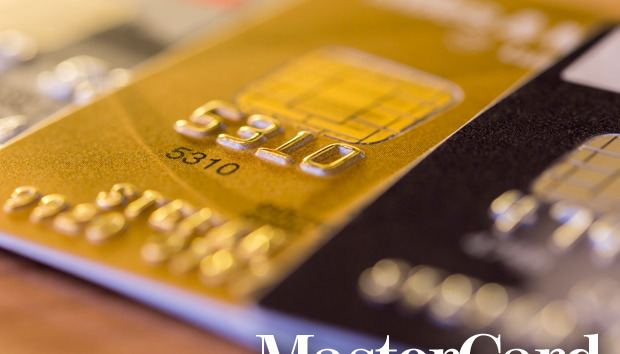 A chargeback is what a bank charges a merchant for a fraudulent payment. Unlike Visa, MasterCard didn't provide details of its new policies for minimizing chargeback costs. MasterCard simply said it has "policies in place that limit merchant exposure to excessive chargebacks on fraudulent accounts." Visa, however, had said it would block chargebacks under $25 made by banks against merchants and would limit banks to charging back 10 fraudulent transactions per customer. Merchants have filed a number of lawsuits against banks and card companies over the chip card conversion. One case involves two Florida-based retailers, B & R Supermarket and Grove Liquors, who said they saw a 20-fold increase in the chargebacks from banks over fraudulent transactions after the Oct. 1 deadline. More recently, Walmart sued Visa on May 10 for not requiring shoppers to type in a more secure PIN when using a chip-ready debit card, while Home Depot sued Visa and MasterCard on June 13, also raising the PIN issue.